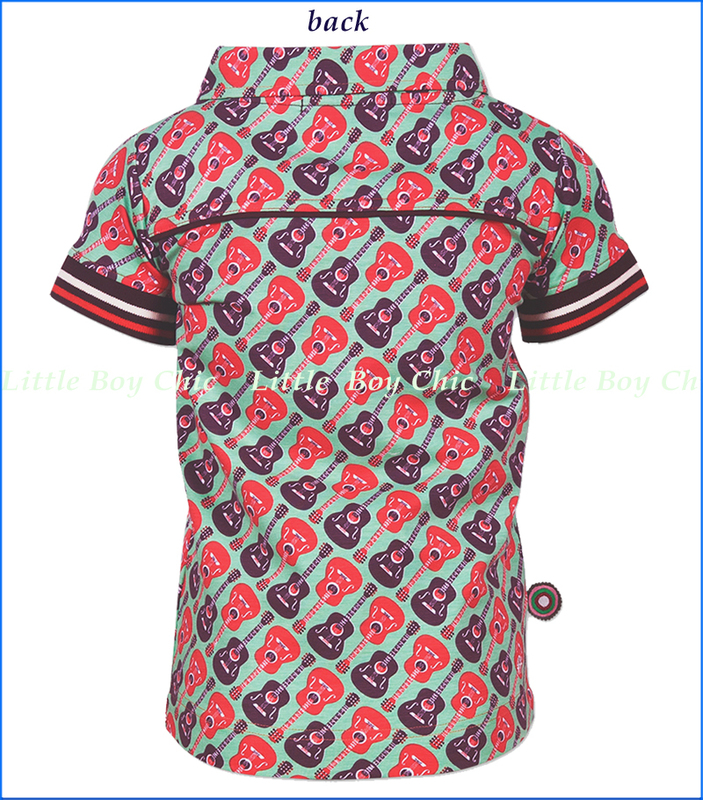 This fun shirt has the styling of a dressed up shirt and an easy zip front in lieu of buttons. 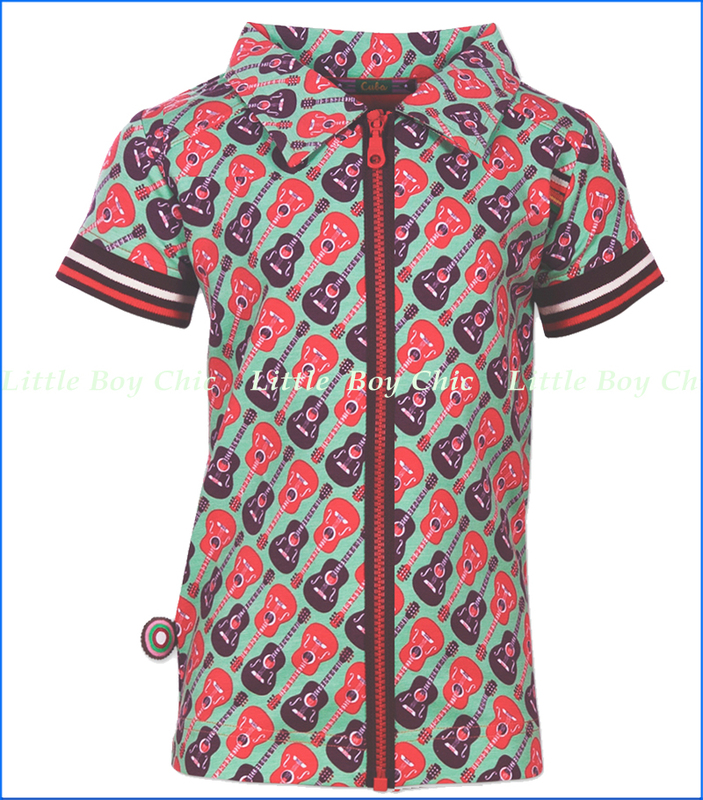 Delightful guitars print with a color coordinated front full zip to go his personalities. Shoulder and back yokes with coordinate trim. Baby ribbed striped trim on sleeves. Embroidered logo. Woven label on side seam. With a little stretch for added comfort.